So, anyone want to argue to that? They are all closely related in one way or another. And besides, if you are disagreeing, why are you still complaining? Just say you disagree and leave. Don't complain and then start yelling at people who are agreeing. If they agree, they agree. If you disagree, you disagree. Thank you, I'll take that as support! My opinions, are my opinions, and that's what makes them fact. My beliefs, are my beliefs, that is what makes them worth believing. My life, is my life, and that is what makes it worth living. Constructive criticism, and hateful criticism, are NOT the same thing, please, be constructive. Don't be hateful. I just thought of a new idea CriticalPrime that you should put in the thread. So, there are different wood doors, fences, and fence gates, right. Well, can we also have different wood buttons, pressure pads, and different wood trapdoors? And, since there is iron doors and iron trapdoors, can we have iron fence gates and maybe fence posts? Just a thought, though. Hope you like this idea! I Support everythin BUT magma and sugar blocks. Charcoal Blocks: If nothing else, a better storage method for charcoal. 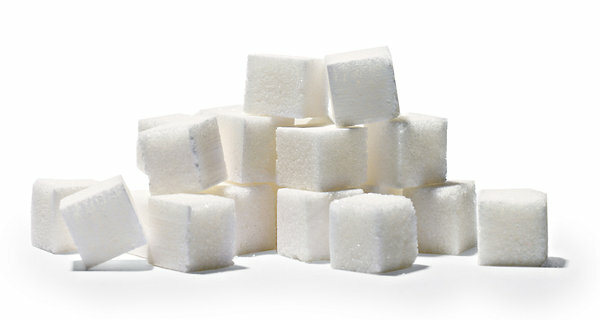 Sugar Blocks: I have never had this problem, as I do not make large amounts of sugar. Stone Brick Walls: I agree with this, along with a few others such as normal brick walls. More Stone Types: Basalt, sure, but how would you get it? Magma Blocks: This might be useful(Mob Traps anyone? ), but please, change the name. Just add some more detail and maybe some pictures and I will probably support this. Also take a look at this guide if you are requesting builders for a server/project. Please note, if I deny a suggestion because it is already possible, then I mean it is already possible withing 10 command blocks (That do not spawn other command blocks) or up to 5 creations (Command blocks that spawn other command blocks) to make your suggestion. If I critique your suggestion I am not hating on you. Learn the difference. Great ideas. I have actually already considered some of these, I'll add them all to the thread. Don't worry CriticalPrime. I'm actually making some ideas for what the blocks may look like right now. I will send them to you by tomorrow. "No Wishlists. Closely related suggestions are permitted." is what it says in the suggestions guide. All these suggestions are blocks, and I do not believe this is a wishlist. Now, for the post, I support all these blocks but one. The Magma block seems kinda confusing to me. Why would you make a block that bounces you and sets you on fire, when you can just make a standard bouncy block? Maybe if it bounced you higher or something like that, then I would support it. I support everything else though. This is a wishlists. Just because they are all blocks does not mean they are closely related. That is like saying that a suggestion suggesting the nether and the end dimension(before they were added) is not a wishlist. You are completely wrong. The ideas HAVE to be related with EACH OTHER. Not how they relate to what the game currently has. You just simplified what each block does. Ugh, okay Mr.FunKiller They all relate to each other in the fact that they all serve the purpose of decoration! Along with addition functions they all can be used as decoration, Charcoal Blocks, Basalt, ,Limestone, Sugar Blocks, Magma Blocks. They could all be used primarily as decoration. So there, they all relate. You cannot argue with these facts! They should add volcanoes, so when they erupt they throw out magma blocks. And more blocks could be leather blocks, enderpearl and eye of ender blocks, gunpowder blocks (or barrels), and other blocks for every other mob drop. Spartans never die, they just go MIA for years and nobody questions it. Lol, love th volcano idea, and I think I'll add the gunpowder barrel to the thread! Thanks! Ok CriticalPrime, here is an interpretation of the Magma Slime Block, with its texture and physics! Hope you like it! Oh wow, thanks alot! One thing, could the yellow pixels on the texture be a dark orange instead? I feel like they stick out a bit to much. Anyways, thanks for the help, Ill add the link to you video in the thread tommorrow, as for today I am signing out. Its late and I have school tommorrow. Bye guys! No problem CriticalPrime9! Always glad I could help! I will work on the other ones, too. Most of them are just remakes, like the charcoal block is a remake of the coal block. I like doing things like this. I will fix the texture right now! The more wooden things would be cool, in particular. I've actually composed a list of what should be added as wooden variants. If you have any more ideas, I'd love to hear them I'm currently learning Java, so maybe there'll be a mod of this? You say ones that need to be added, and are very obvious. However, most of these, I see no reason for, were not obvious to me, and seems to have no point. You must not go very deep into your Minecraft experience, if you did you would see that these would all be very useful decorative blocks, and a few storage blocks to. Ilove the idea of the different armour stand types, however it would require 6 variants of sticks, then the recipes for them and the stands. And as the devs. previously stated, they do not want that many recipes, that is why they had to change the entire recipe for fences.